LEGO claims the court ruling will confuse its customers. (CNN) -- Toy manufacturer LEGO, famous for its small plastic stackable bricks, is not allowed to register one of them as its trademark, the European Court of Justice has ruled. The Danish company was granted a trademark for a three-dimensional image of a red eight-stud brick in 1999, for use throughout the European Union. Canadian toy manufacturer Mega Brands, which makes similar plastic bricks, argued that LEGO violated trademark legislation, and the European Court of Justice in Luxembourg ruled in favor of Mega Brands on Tuesday. "This was the court of final instance, and we have no option but to note the court's ruling," said Peter Kjaer, the head of LEGO's Intellectual Property Section. The issue was whether the famous LEGO brick served a technical function. European law says companies can trademark graphic images like words, designs, the shape of their goods and packaging -- but trademarking a product's shape, if that shape is "necessary to obtain a technical result," is not allowed, the court said. LEGO argued that did not apply to its brick, because "bricks with virtually the same function can have other appearances," Kjaer said. In making its decision, the court referred to an earlier case involving the electronics makers Philips and Remington over the shape of an electric razor. "Patents can protect technical solutions, such as the means to interconnect toy bricks, but patent protection is limited in time and LEGO's patents for the basic brick have long expired," Mega Brands said in a statement after the ruling. "Put simply, a trademark registration cannot be used to confer a potentially everlasting monopoly on a useful product configuration." 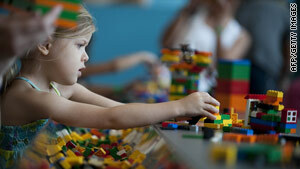 Kjaer said the decision will confuse LEGO customers. "It is naturally a matter of concern to us that use of the brick by others can dilute the trademark," he said. "But the worst aspect is that consumers will be misled. Analyses show that 40-60 percent of shoppers believe they are buying a LEGO product when in fact they are purchasing a different product. Shoppers can see there is a different name on the box, but they believe it is a product line or company owned by us."